I was originally supposed to be going to Dublin for WAC, to give two papers. Unfortunately, life intervened and I’m not able to go. However, I will be giving one of those presentations anyway, via Second Life in the Art, Archaeology, and Technology: Current Experiments in Interpretation session. Archaeology is about material culture, about exploring the human condition (not necessarily in the past) through how we create and manipulate objects & landscapes. In recent years, the power of computing has opened up new universes for exploration, places where individuals create the worlds around them. 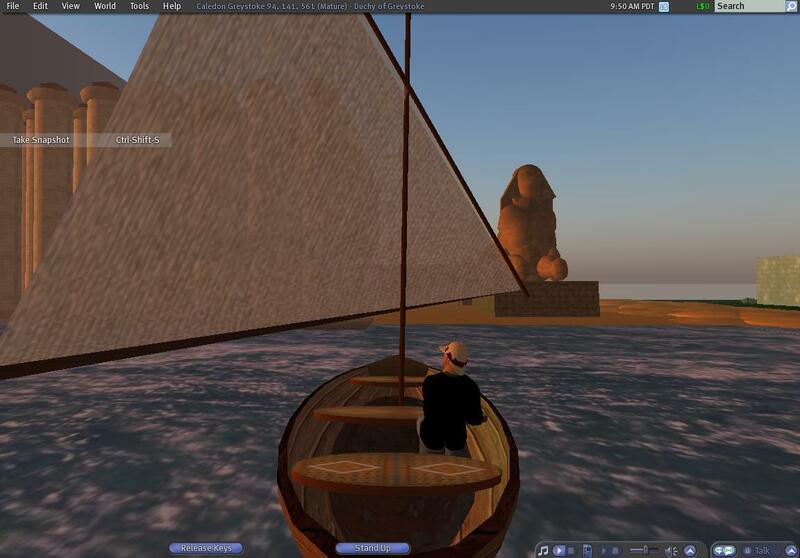 This paper discusses my archaeological explorations in the current leading virtual world, ‘Second Life’. This world deserves archaeological study – perhaps even needs archaeological study – in that it is nothing but pure construction of will and imagination. ‘Virtual Worlds’ are in themselves nothing new: from the Haning Gardens of Babylon, to Hadrian’s Villa, to Disneyland in Florida, humans have been creating fantastical worlds for many different purposes, with simple entertainment not necessarily the prime motivation. Building on these observations, the paper discusses my own attempts to alter this world for archaeological outreach: a re-usable archaeological excavation. It will be a live presentation from within Second Life, if all goes according to plan. If not, I’ve already recorded a video presentation to be given in case of emergency, and I’m just waiting for Youtube to do its magic. It turned out to be much more difficult to make this video than I anticipated. 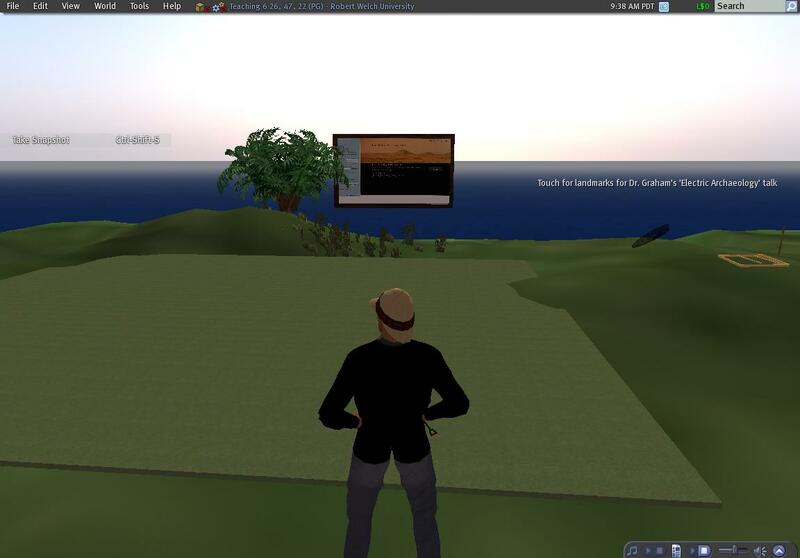 Firstly, you need to do screen captures in Second Life. I followed the directions here to make that work. Then, I downloaded Camtasia studio (trial version) to do the movie editing. I spent a fruitless day stitching together my stills and clips and then trying to match the audio to the video. I found it easier (relatively speaking), to do the audio first, and then the video. I used audacity to record my stream-of-consciousness lecture, and then imported that. (Is there anything more cringe-inducing than listening to your own recorded voice? At least when I speak live, I can react to my audience; speaking to a recorder makes everything into a monotone…). It was part of a fund-raising effort for breast cancer research, in the ‘Duchy of Greystoke’. Worth a visit if it’s still up.